There’s rarely a shortage of fun, laughter and good times to treasure when you have a big family, but sometimes it can feel like you’re living on top of one another and in desperate need of some extra space. 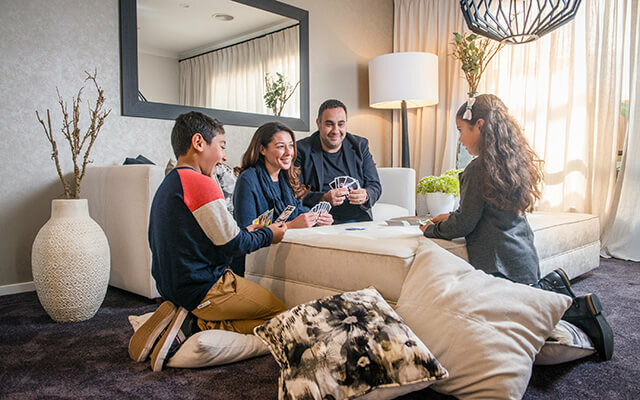 At Dennis Family Homes, we’re a family building homes for families and we understand what larger families are looking for—stylish, well-designed homes that allow you to come together in communal spaces to enjoy each others’ company, but also to escape to your own private retreat when in need of some time-out. That’s why we’ve developed a range of five-bedroom home designs which more than just cater for big families. Whether you most value having spacious bedrooms, multiple living spaces, or stylish contemporary finishes, we’re sure to have a home design that ticks all the boxes. 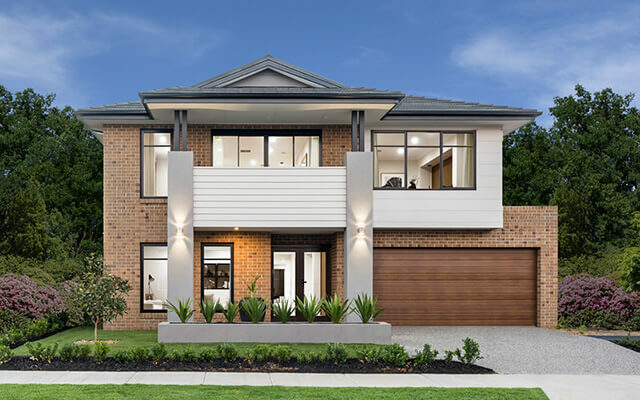 If you’re after single storey living, you’ll be spoilt for choice with the range of Dennis Family single storey five-bedroom home designs. The Cosgrove which is set over 34 squares, offers eight façade options and a floor plan which includes three living zones with an open-plan kitchen, meals and family area, separate living room, games room and alfresco area. The bedrooms each include their own walk in wardrobe, with one of the bedrooms also having direct access to the main bathroom offering itself as an ideal guest bedroom. The Macedon also offers a similar five-bedroom/three living area arrangement, with the additions of a study and his-and-hers walk in wardrobes to the master suite. The Charlton is another great option for large families who prefer single storey living, with five bedrooms each with walk in wardrobes, three living areas, study and luxurious master suite. However, it’s the intelligent floor plan and kitchen design that sets the Charlton apart. With a gourmet kitchen complete with an oversized walk in pantry, the direct connection between the garage, pantry and kitchen will make shopping day so easy by allowing you to carry and store your groceries away in a flash. View the Charlton on display at our Ballarat or Wagga Wagga display centre. We also have home designs suitable for wide blocks, such as the Kimberley or the Rochester. Both home designs offer spacious floor plans with multiple living spaces and walk in robes to all bedrooms, while the Rochester also includes additional garage space which could be used as a workshop or to garage a third car. 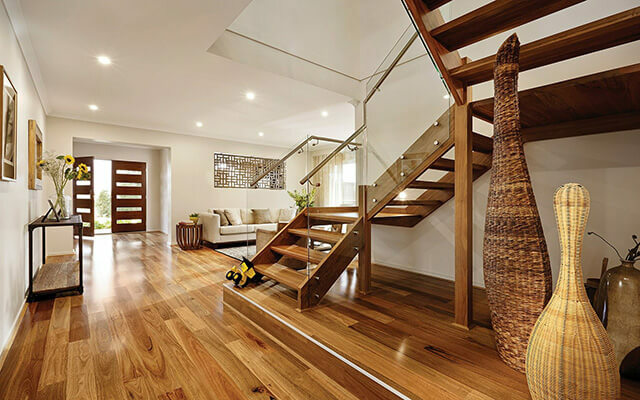 Double storey equals double the space, so if space is the ultimate priority, a double storey home design is sure to satisfy. Both the Riverton and the Whitfield offer spacious floor plans, each boasting 5 bedrooms with their own walk in wardrobes, with the master enjoying his-and-hers walk in wardrobes or an oversized dressing room, backed by a stylish double ensuite. However, if you’re looking for the ultimate in double storey living for a large family, you can’t go past the Balmoral. Set over a grandiose 50 squares, this spacious five-bedroom home can still fit comfortably on blocks with a 14-meter lot width. With four separate living spaces, you’ll always be able to find somewhere to escape from the craziness that comes with a big family. Every member of the family will also have their own private sanctuary with each bedroom not only including a walk in wardrobe, but also its own private ensuite, making the Balmoral an ideal home design for families with adult children still living at home. But the real beauty of the Balmoral is how it pays ultimate respect to mum and dad. The master suite not only provides a double ensuite complete with bath tub and oversized shower, as well as a stately dressing room which is sure to satisfy even the most discerning of fashionistas, the bedroom is also large enough to create for a lounge area to provide a private and quiet space to relax and recharge your batteries. 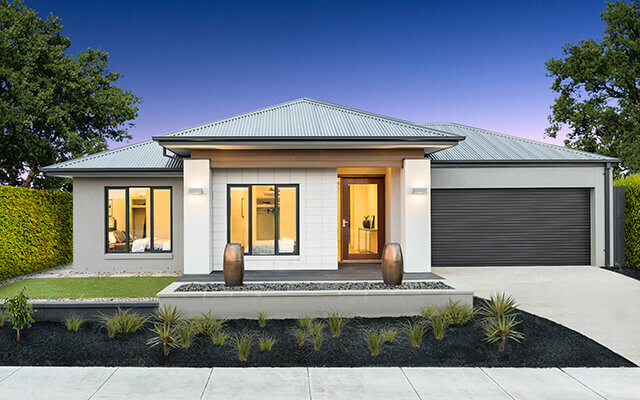 You can visit the Balmoral on display at Point Cook, Greenvale or Clyde North. With so many fantastic home designs ideal for large or growing families, we’re sure to have a home that will fit your family perfectly. View our full range of stylish home designs, visit one of our display centres or contact us to find out more.